Robotic Vacuum Cleaners are self-charging mechanical cleaners that move around by themselves and do not require human guidance. These vacuum cleaners are perfect for those who are always pressed for time but always want their homes to be free of dust and pollutants. These robotic cleaners operate on rechargeable batteries and their compact size allows them to easily reach under low furnishings and beds. Electrolux was one of the firsts to create a robotic vacuum cleaner and other companies including iRobot Roomba, Dyson and Samsung, later followed this. iRobot Roomba: It is one of the leading companies of robotic vacuum cleaners and iRobot Roomba swipes away dirt, dust, cat litter, pet hair crumbs etc from your carpet and hard floors with great efficiency and ease. iRobot Roomba 400 series: The models under this series automatically vacuums on its own and cleans off dirt and dust particles. It autonomously navigates and adjusts from carpets to hard floors and vice versa. These robotic cleaner can cover up to 2 rooms in one battery charge. The models are compact and stylish and the model numbers include 400, 416 and 410.
iRobot Roomba 500 series: Innovative, stylish and compact, the 500 series is about more power packed performance. These almost magical tools can clean up to 3 to 4 rooms in one battery recharge and can clean a variety of surfaces including carpets, tile and hardwood floors. They can be preset according to your day and time preference. This series also include brush cleaning tools and a vacuuming debris bin. The models available under this series include 530, 562 pet series, 570, 560, 532 pet series and 510. 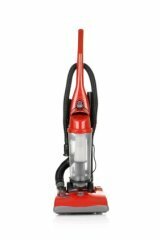 The two pet series models are specially designed keeping in mind the cleaning requirements from a pet owner. New iRobot Roomba 610 Professional Series: Featuring the latest technological advancements, these professional series vacuum cleaners are ideal for larger spaces and areas for both commercial and residential units. It comes equipped with an high capacity sweeper bin, a set of brushes, storage case and replacement filters. Electrolux: Electrolux was the first company to bring robotic vacuum cleaner to the market with the prototype of Trilobite, which was presented to the public through a program on BBC TV in 1997. Trilobite 2.0 is a complete new product compared to its prototype that boasts a number of interesting features. For one, this is equipped with an infra-red sensor that can detect changes in floor levels and secondly it can be programmed and comes with an improved navigation system. Dyson: Dyson is a leader in creating cleaning products and this particular creation from the stables of Dyson is no different. Dyson DC06, the revolutionary robotic vacuum cleaner is capable of cleaning all kinds of floor surfaces at the push of a button. It has over 50 sensory devices and 3 on board computers that are capable of making 10 decisions every second thereby allowing it to clean efficiently and navigate appropriately. DC06 doesn’t need to be programmed since it can think for itself and exactly know where and what needs to be cleaned. This technological marvel can even charge its own batteries via a high-speed charger. Therefore possessing one of these will surely ease off your cleaning hassles within seconds. Samsung: The Samsung Cleaning Robot VC-RP30W is known for its advanced features and superior performance. It includes some of the most ingenious aspects such as the buil-in WebCam that can be used for surveillance. It can draw a 3-D map of the environment to identify a location and clean it thoroughly. It can be remotely controlled through a computer with an Internet connection. Its built-in rechargeable batteries provide enough power for the cleaner to operate for 50 minutes.